These here are the pink ombre ruffle dress cookies I made up to match the cake I made for a fashion inspired birthday party. 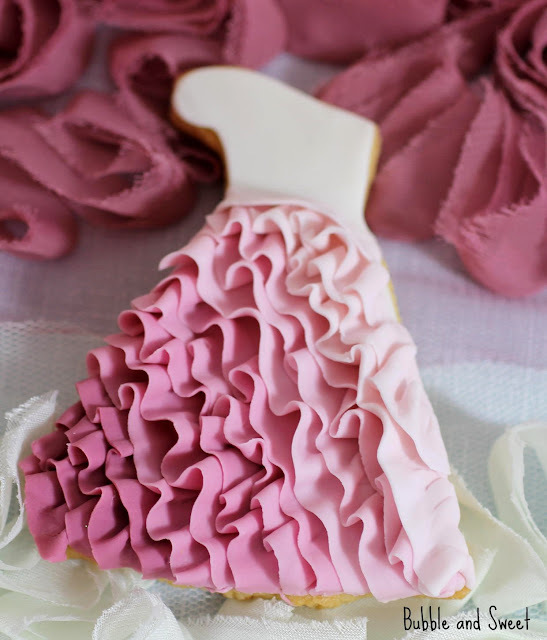 Now Naomi V or her party stylist Putting on a Party didn't even ask for cookies, but y'all know I kinda have a thing for cookies, and ruffles, oh yeah and also ombre at them moment ........ so I wanted to create a ruffly cookie and this seemed like a perfect excuse. Plus it was a bit of a test run, I wanted to see how the diagonal ombre would work before I started on the cake. I actually really enjoyed making these cookies, although it took me around half a day to make just over a dozen. They are kinda time consuming but I don't mind I find the hand rolling relaxing and I like the uneven finish. But if you had lots to do you could crank up a pasta machine to whip out the ruffle strips much faster. 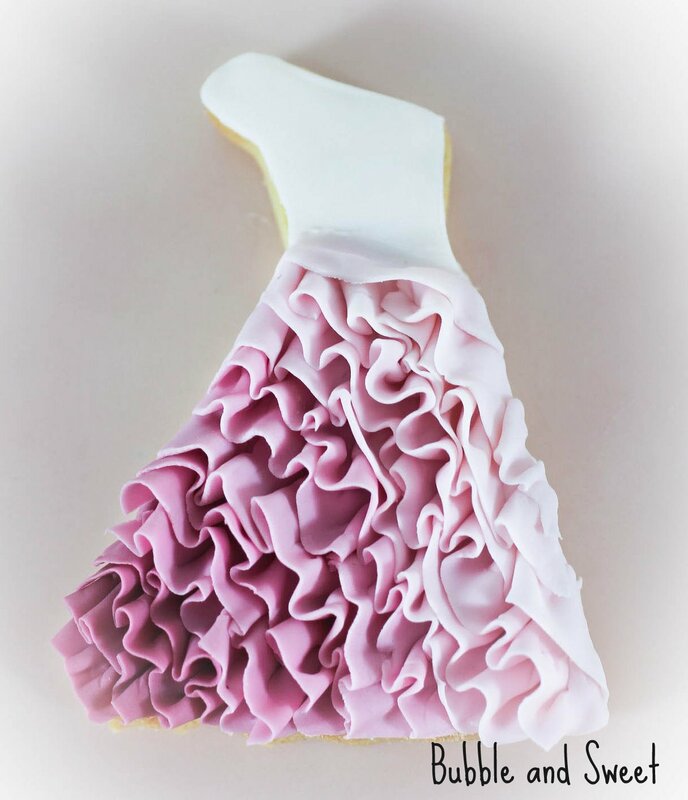 and none of my dress cookies were quite right for the look I wanted, so I made up my own template. Making a template pretty much just consists of drawing a dress on a piece of sturdy-ish card stock and cutting it out. 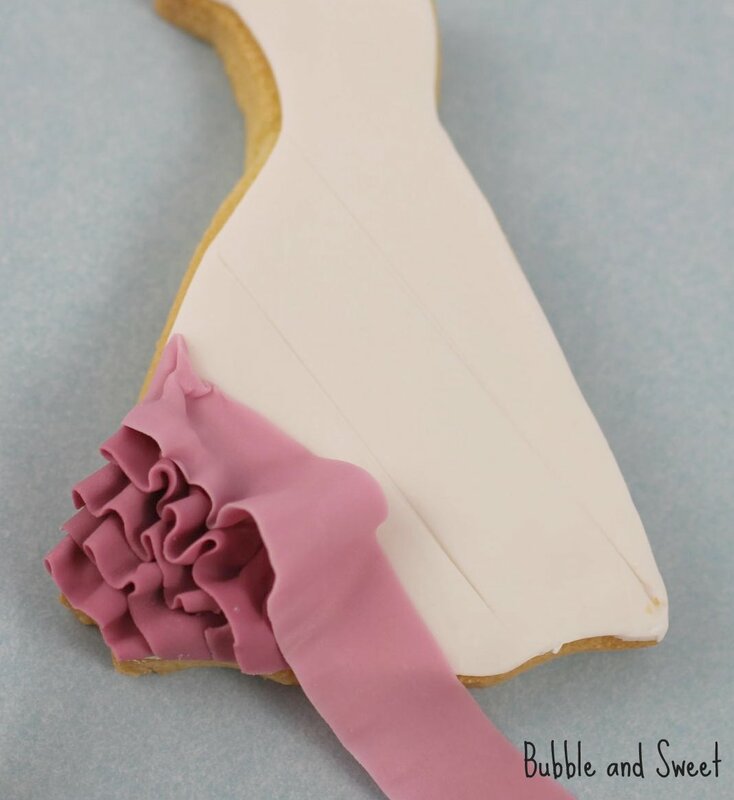 A template will work great if your only doing a few, but if you had like 200 wedding dress cookies to make I think it would be worth the investment to track down a cutter that matched or even have your own cutter made. 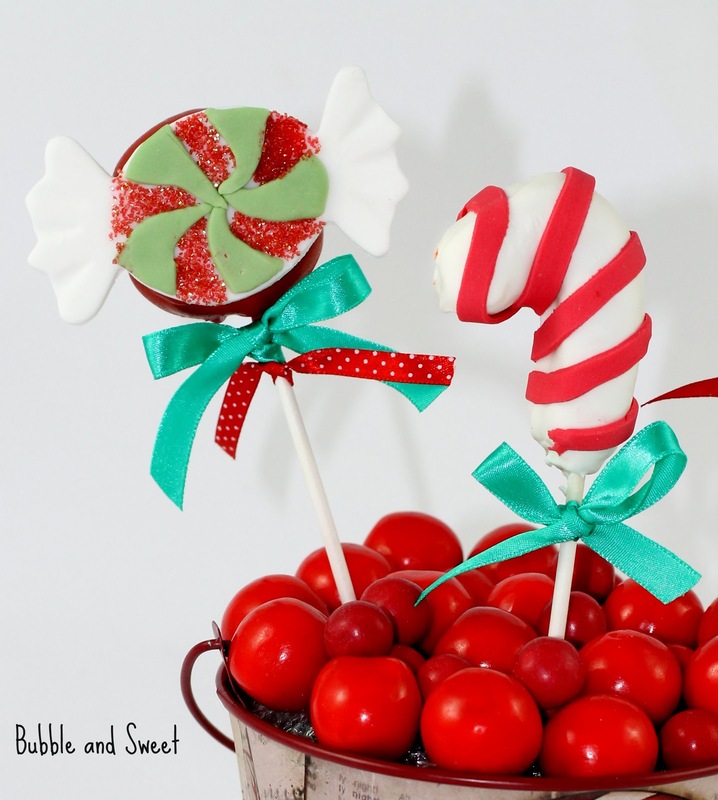 * Fondant dries out very fast. You must work quickly and keep in an airtight container when not in use. Knead well before use. 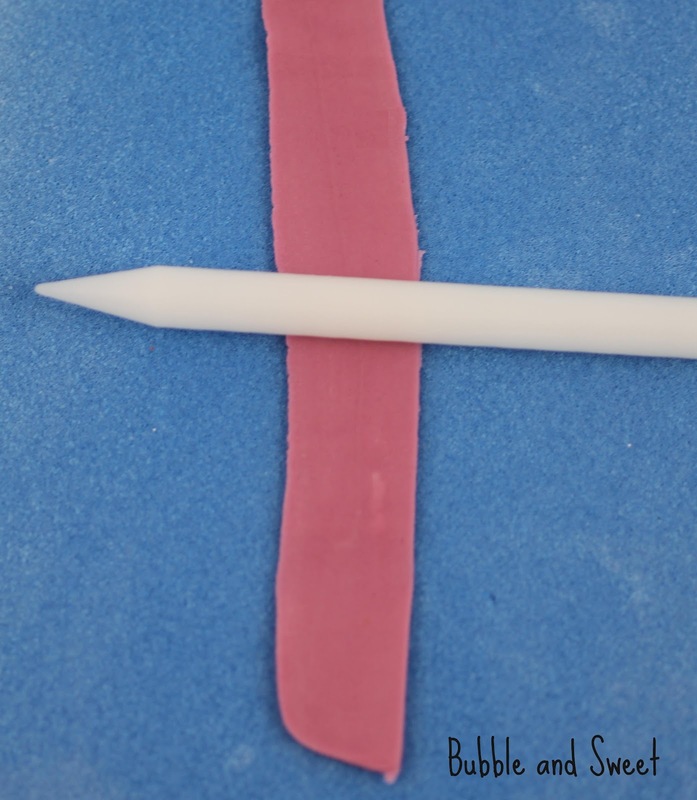 Knead the fondant well and using the food color make 4 different shades ranging from pale pink through to a deep dusky pink. 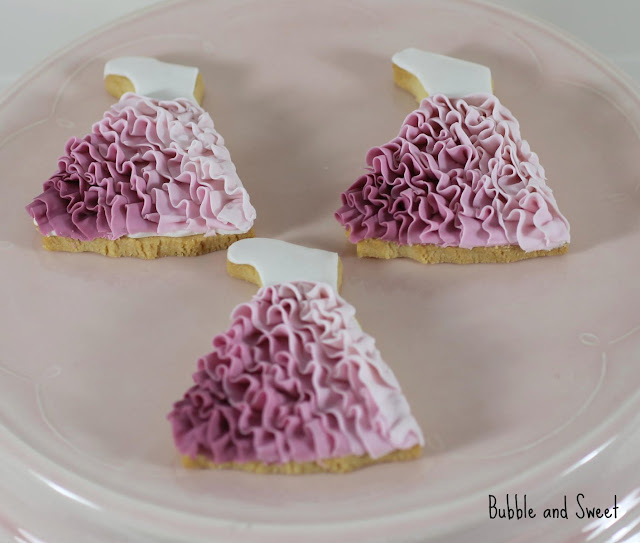 Cut out dress shaped cookies with cutter (or use template) place on a parchment paper lined baking tray and bake in the oven following recipe instructions until the cookies are golden. Remove from oven, leave on tray for 5 minutes, transfer to wire racks and allow to cool. Lightly dust a clean bench top with cornflour (corn starch) and roll out the white until quite thin. 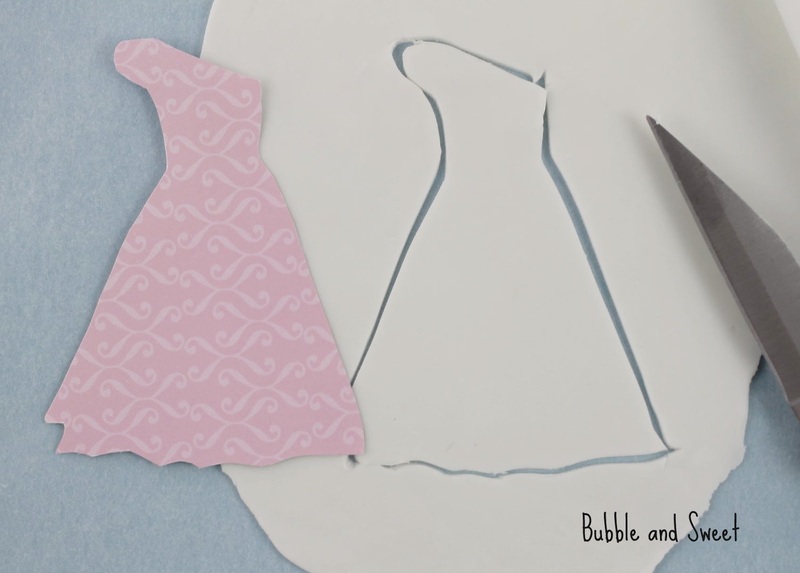 I like to work with small pieces at a time to reduce the fondant drying out. Using the dress cookie cutter (or template) cut out a white fondant shape the same size as the dress cookies. 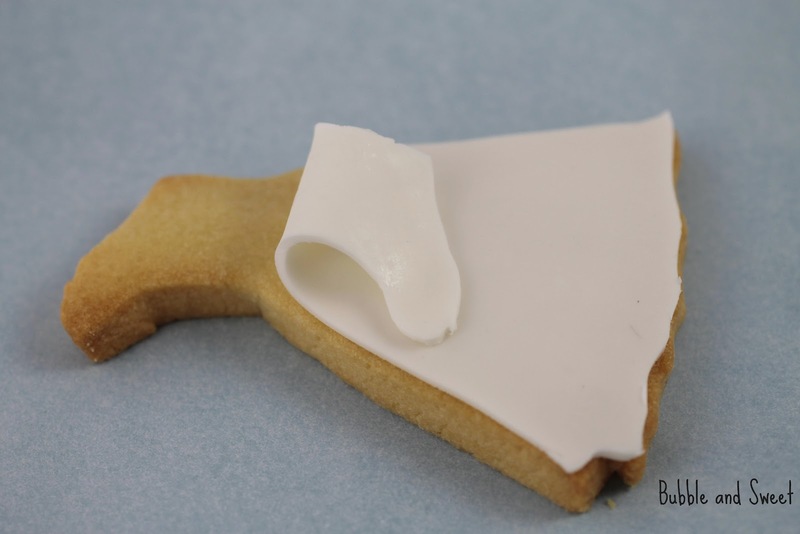 Brush the cookie with a small amount of water and adhere the white fondant to the cookie using the small rolling pin to gently press the fondant to the cookie making the surface as smooth as possible. Repeat with all cookies. To Make the fondant ruffles dust the workbench with cornflour (cornstarch), take a piece of fondant about 1 1/2 tsp and shape it into a rectangle, using the small rolling pink roll in out into a long strip. As you roll you may need to press the sides in carefully with the sides/heels of you hands to stop it from getting too wide. (or if you find that is not working you can always use a sharp knife to trim it back to size) Keep rolling until the strip is quite thin. I like to pick the strip up after each roll to ensure it is not sticking to the bench and when necessary dust underneath again. Pick the strip of fondant up and place it onto the non stick foam. 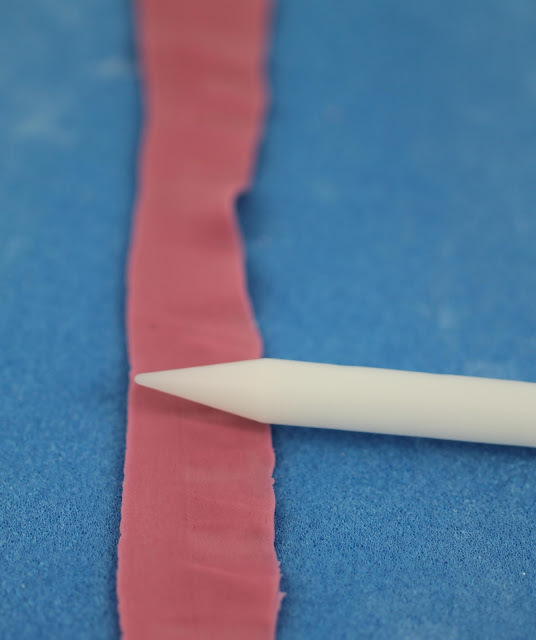 Using the middle section of the frilling tool roll back and forth (like using a rolling pin) to make the strip even thinner, you will probably get it to double in length. Then use the edge of the frilling tool rolling back and forth to frill one edge of the strip a little more. 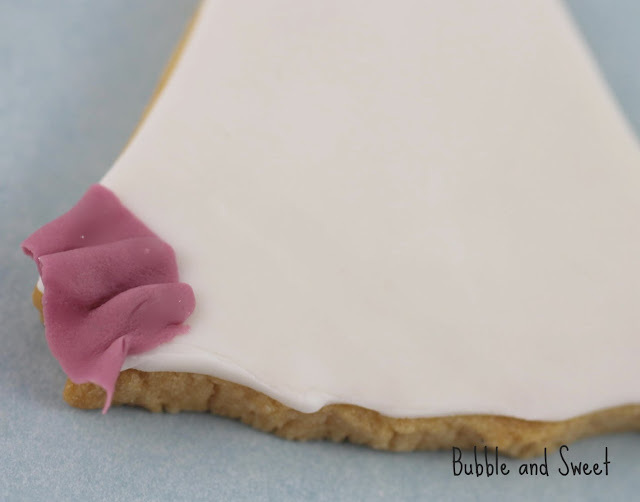 Attach a short length of the fondant ruffle to the bottom corner of the cookie using a small amount of water brushed onto the fondant to adhere it. Continue to add more strips of ruffled fondant until you have reached to point where you want to switch to the next graduated colour. After around 4 strips of the dark dusty pink you will be ready to switch to the next slightly lighter colour. 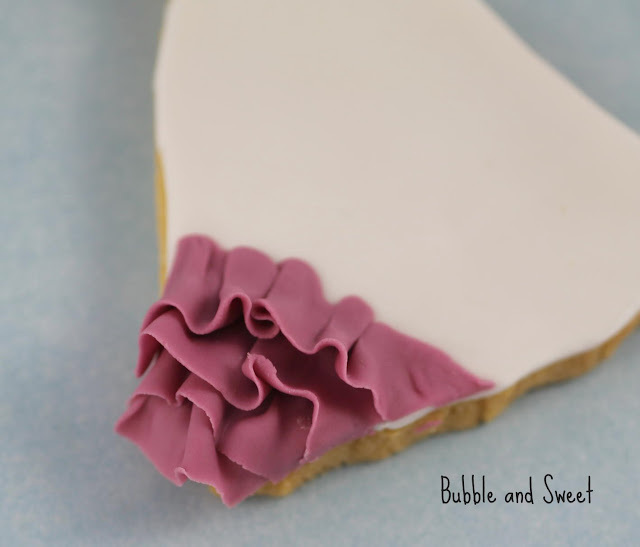 You can see in the picture above how I made some slight indents in the white fondant so I knew when to switch over to the next colour of fondant ruffles. I only did this on the first cookie and then I used that cookie as a guide for the remainder. With this particular design I decided to stop at the waist. 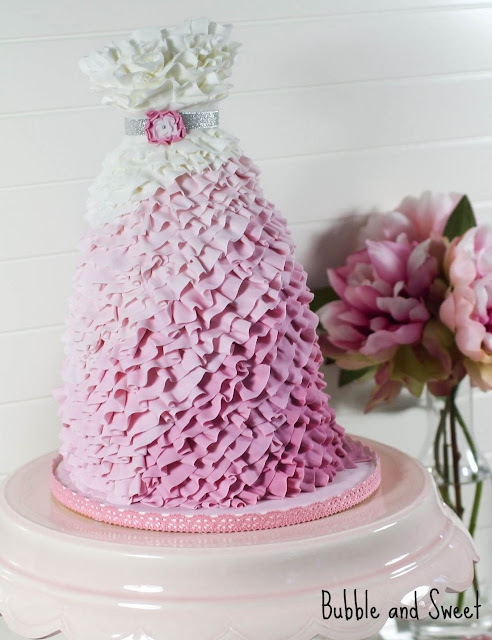 Continue adding the fondant ruffle strips until the whole skirt area is covered. Oh my goodness, you are one meticulous worker! But the results are amazing! Wouldn't these be fabulous for flamenco/fiesta cookies?! You are definitely the ruffle QUEEN! Soooo pretty! Son bellísimas!!!! Gracias. Thank you.